On Saturday, 3/23/19, the UFC came to Nashville, Tennessee to showcase a high level card of fights at the Bridgestone Arena. 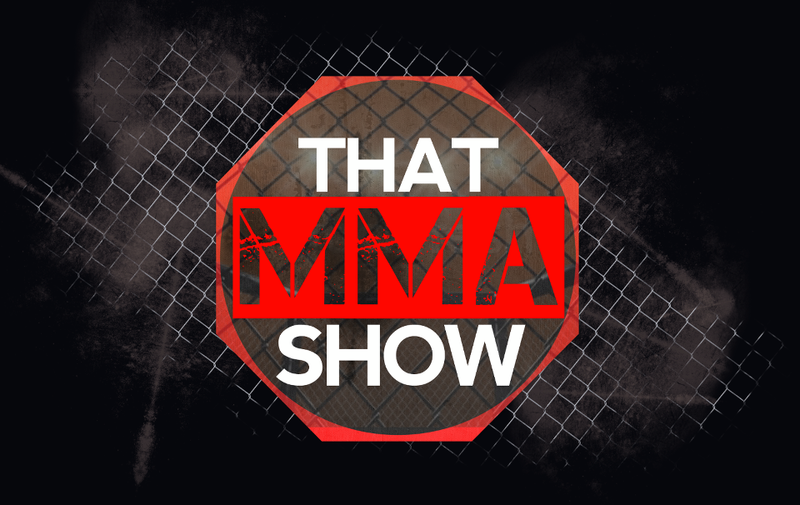 At the top of the card, the 170-pound division stole the spotlight for the fourth week in a row as former Lightweight champion, Anthony “Showtime” Pettis, stepped up to Welterweight to take on the #3 contender, Stephen “Wonderboy” Thompson. Initially, there was a lot of confusion generated by this matchup. This pairing initially came about due to a callout from Pettis who was an active Lightweight at the time. Per Pettis’ explanation, he made the callout due to a lack of available opponents at his weight class. Coincidentally, Thompson was having the same issue at welterweight. Therefore, both men were eager to take on a viable opponent. Furthermore, the matchup generated plenty of interest due to the high level of traditional striking skill possessed by both men. Nevertheless, Pettis was still seen to be at a disadvantage due to the size difference. However, Pettis’ wealth of confidence suggested that he knew something the analysts didn’t. 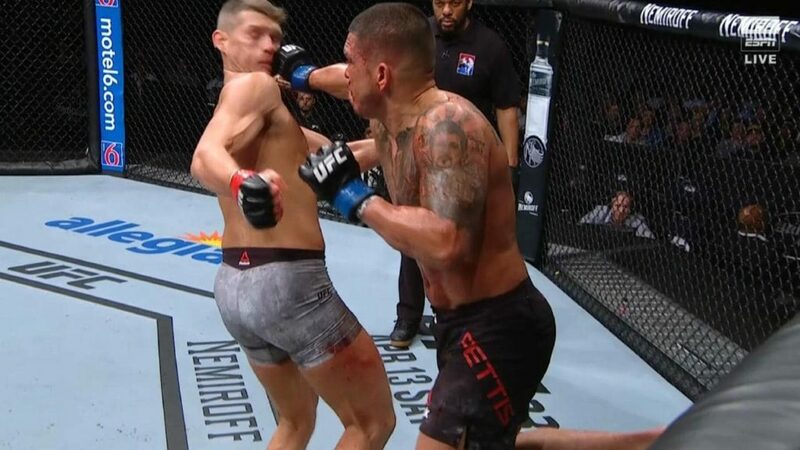 When the fight commenced, Pettis began going to work on Thompson’s legs, chopping the inner and outer thighs with a compendium of hard leg kicks. In the last two minutes of the first, Wonderboy found his range, keeping distance with teeps and side-kicks to the gut, and busting up Pettis’ nose with straight punch combinations. In the second round of the bout, Thompson really started to mix up his striking and unload head kicks. Every kick was mostly blocked, however, Thompson later admitted that he wanted to break Pettis’ arms in the process. On the other hand, Pettis remained patient, continuing to throw kicks to the legs and body. Toward the end of the round, Thompson backed Pettis to the fence and landed a side-kick to Pettis’ mid-section. In response, Pettis faked a low kick, and pushed off the fence with a pinpoint superman-hook punch that flat-lined Thompson. Upon Thompson’s limp landing, Pettis smashed him with two additional punches to the jaw for before Herb Dean jumped in to call the fight. Anthony Pettis had defied all the odds and critics, defeating the two-time title contender in emphatic fashion. With this win, Pettis joined Donald Cerrone, Rafael Dos Anjos, Jorge Masvidal, and Michael Chiesa in a recent wave of top Lightweight talent that have found great success in the top of the Welterweight division. Moreover, this win made Pettis one of only three UFC fighters to earn a win in three weight classes, along with Conor McGregor and Kenny Florian. The only question now is where Pettis will “Ride the wave” from here. Since the fight, Pettis has talked about how good he felt at 170, and how excited he is to have a whole new division of potential matchups. In his post-fight interview, Pettis expressed interest in taking on Rafael Dos Anjos in a rematch to avenge the fight in which he lost his belt 4 years prior. Pettis also responded to a tweet from McGregor, agreeing to take on the Irishman if he was willing to meet him at 170 pounds. All things considered, it seems as though Showtime has found a new home, and fans can only clamber in anticipation of his next move.